See more objects with the tag scalloped, flowers, personal environmental control, symmetry, arabesques, women, sheer, fashion accessory, shade. This is a Parasol cover. It is dated ca. 1880 and we acquired it in 1938. 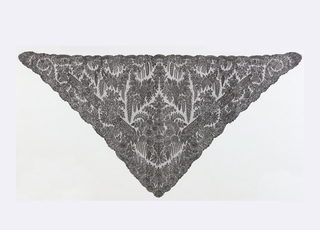 Its medium is silk and its technique is bobbin lace, chantilly style. It is a part of the Textiles department. 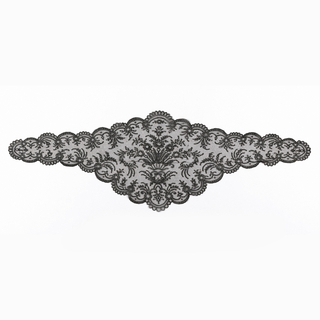 The combination of naturalistic flowers and classical forms made so-called Chantilly lace one of the most popular laces of the nineteenth century. 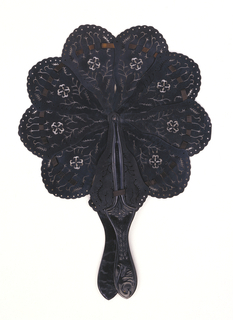 This style of black silk bobbin lace was named for the French city which was its major producer in the 18th century, but by the 19th century the style was being replicated throughout northern France. 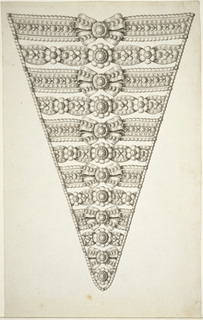 This beautifully-intact parasol cover has a balanced and harmonious design of elongated triangles that radiate from a central ring of curlicues surrounded by leaves and flowers. 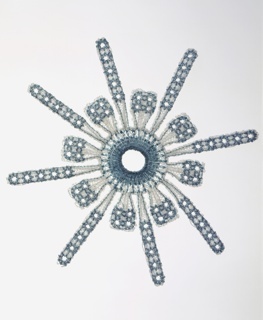 The triangles are filled with classically-inspired arabesques that intersect with floral forms and wheel-like shapes. 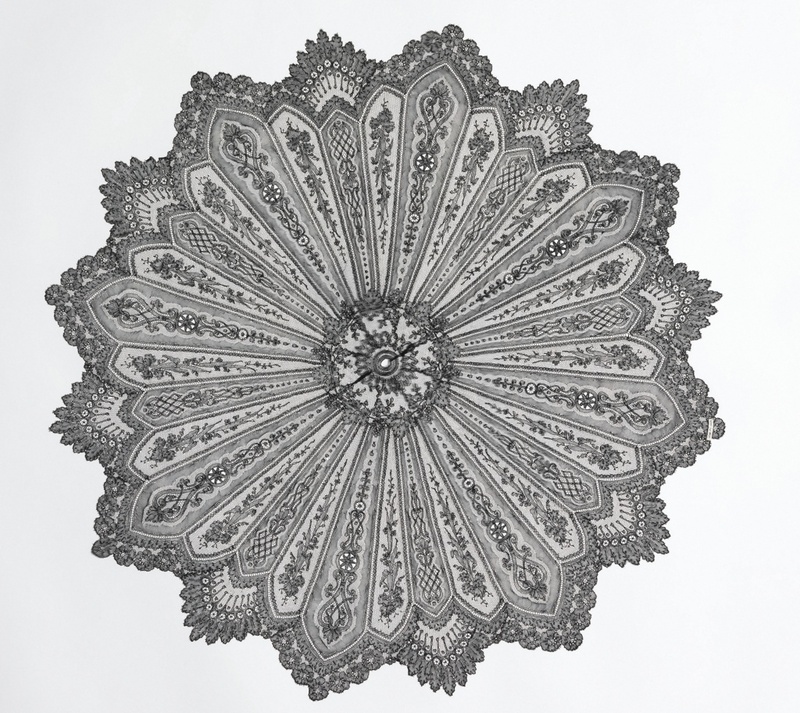 Lightness and refinement were enhanced by the bobbin lace technique. Lace makers used half stitch, a point de Lille ground and cordonnet accented with honeycomb rings and picots to create laces that paired beautifully with pale and brightly-colored silks. 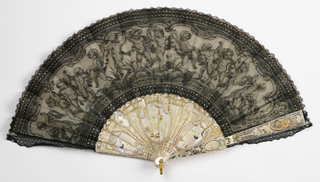 A parasol cover such as this would have been mounted over a silk lining to showcase the extreme delicacy of the design.